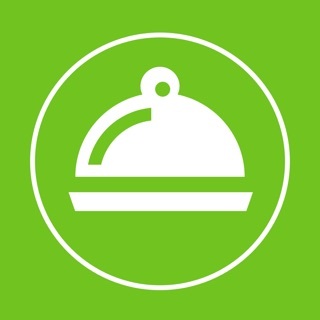 With Mambeno you get an easier everyday and save time on shopping and cooking. 1. 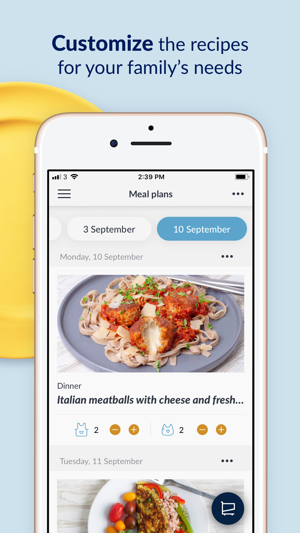 A handy and complete meal plan with recipes and shopping list every Thursday. 2. Get new inspiration for dinner on a budget. 3. Save time on grocery shopping and cooking dinner. 4. 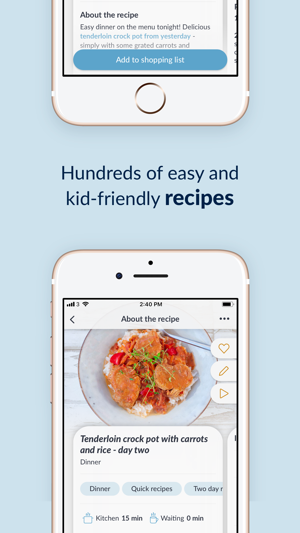 Easy-to-make recipes and handy grocery lists - designed especially for families with kids. 5. Recipes with lots of variation; veg, fish and wholegrain. 5. Fewer impulse purchases and more savings on your shopping. With Mambeno you can plan all week straight from the couch. 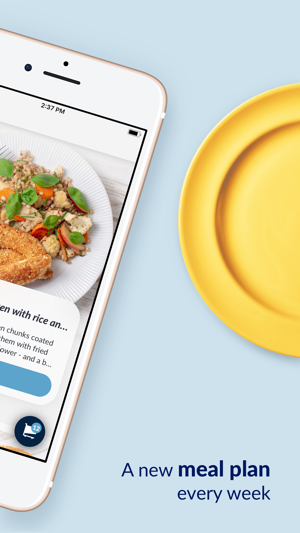 You can replace dishes with a single click. 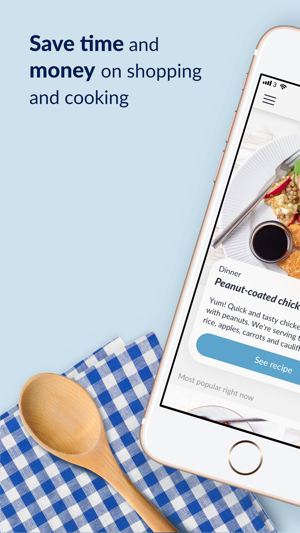 You can adjust the number of people on the individual recipe, as well as add your personal notes for both recipes and weekdays. So add a note when mom or dad comes home late or the kids are playing soccer. 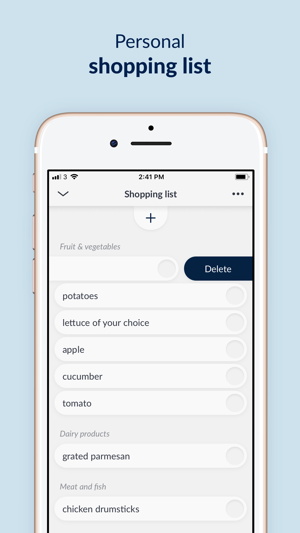 You can transfer an entire meal plan, or just a single recipe, to your personal shopping list and add all the other things you need to the household. You can also use the super cool "Empty Fridge" feature where you get suggestions for recipes based on the ingredients you have in your fridge. The title of the service is Mambeno. When you subscribe you can access the weekly meal plan, personal shopping list and all other features. The first 30 days are completely free to try. You can cancel any time during the trial period. The subscription will automatically renew unless auto-renew is turned off at least 24-hours before the end of the current period. You can go to your iTunes Account settings to manage your subscription and turn off auto-renew. Your iTunes Account will be charged when the purchase is confirmed. Your account will be charged for renewal within 24-hours prior to the end of the current period, and identify the cost of the renewal. Discount coupons can't be used for iTunes payment. We hope you will be happy with Mambeno - and get an easier everyday. Imagine looking into the door of your child's room. And even though you may not be able to see it, your child is stubbornly claiming that the room has been cleaned up. Maybe a single car or two have been moved from the floor to the shelf. And maybe the doll's clothes has changed address from the bed to the floor. Not the big changes, we know, but after all better than nothing! And this is that kind of update. Little things have been cleaned up here and there, but they still make a difference. Eg. we can now send you directly to the different recipe categories when we send you push notifications. We surely admit it doesn't solve all the problems in the world, but we take them one at a time!